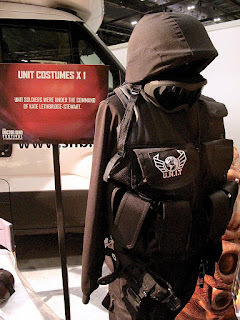 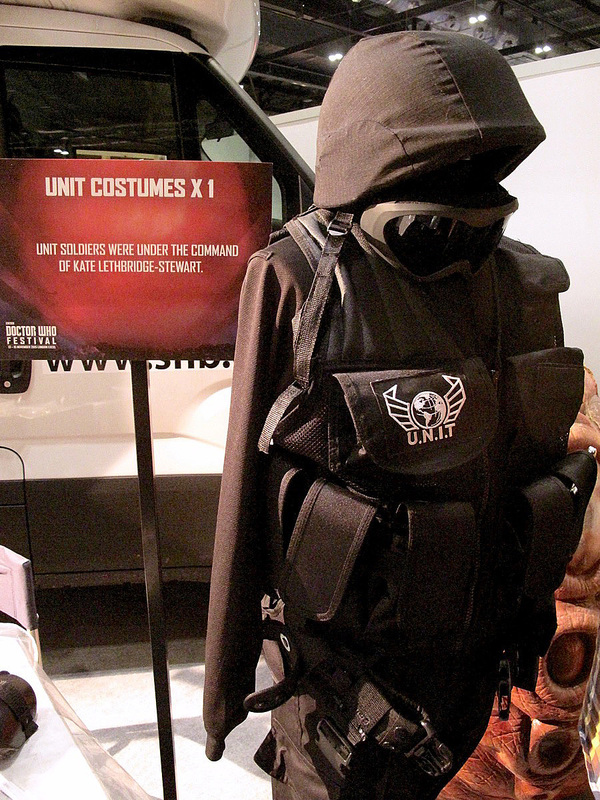 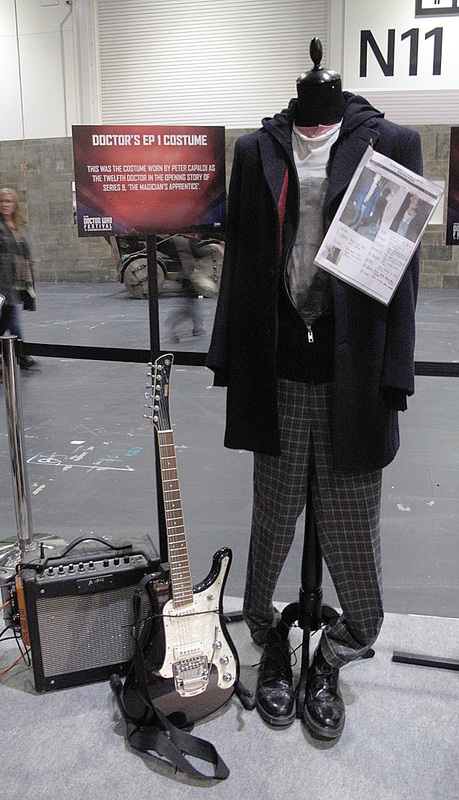 Using 2013’s Celebration as a template, his event has a small display of costumes and props. 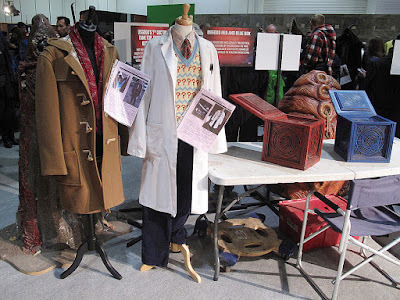 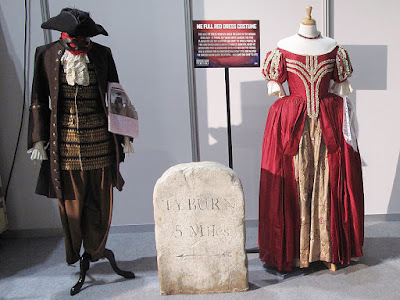 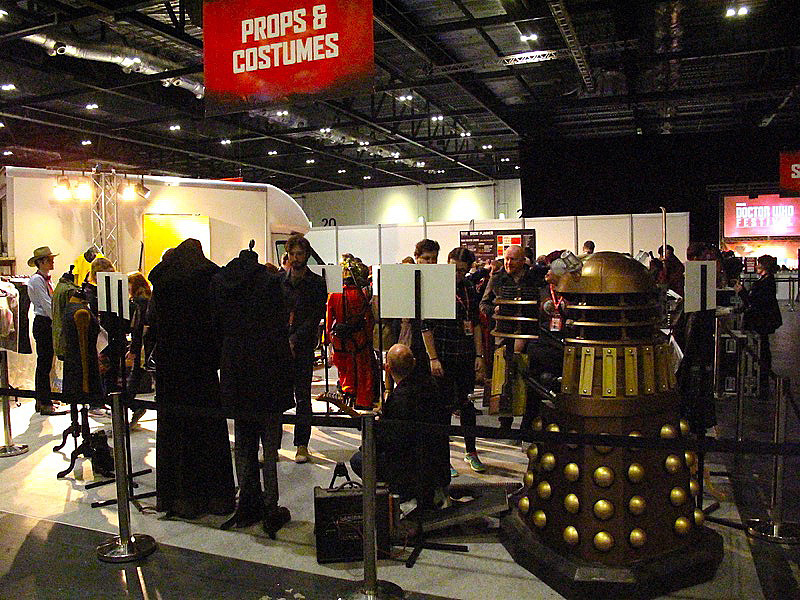 but it does given an exclusive preview of the costumes from the current series before they head down to Cardiff to be added to the Doctor Who Experience sometime next year. This display showcases the work Ray Holman has done since returning to the Doctor Who fold. Over the course of the weekend the display was tweaked and subtly changed to make public access easier. This didn’t alleviate the queues to get in, which at times were reaching far around the corner. Here’s what’s on show, grouped by episodes. There was a nice display of the remade Crombie ensemble from the opening two-parter, along with The Doctor’s electric guitar and Magpie Electrical amplifier. 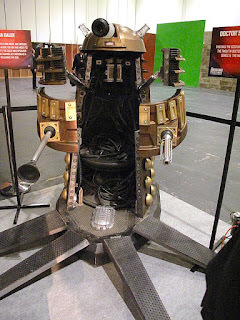 Clara’s Dalek casing was on show, along with her costume. 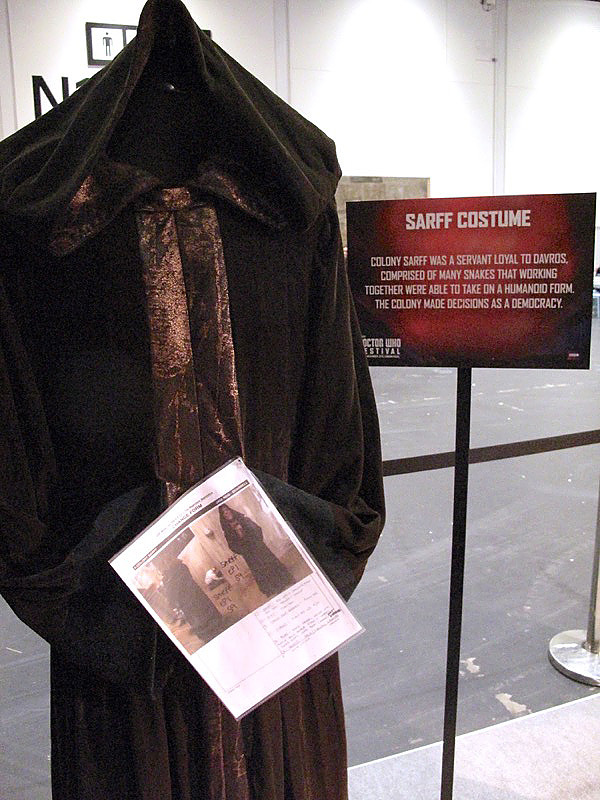 There was also Colony Sarff’s cloak and Missy’s latest version of her costume. 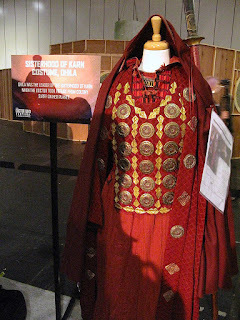 As well as the Proclamation Architect’s robes, and Ohila from the Sisterhood Of Karn. 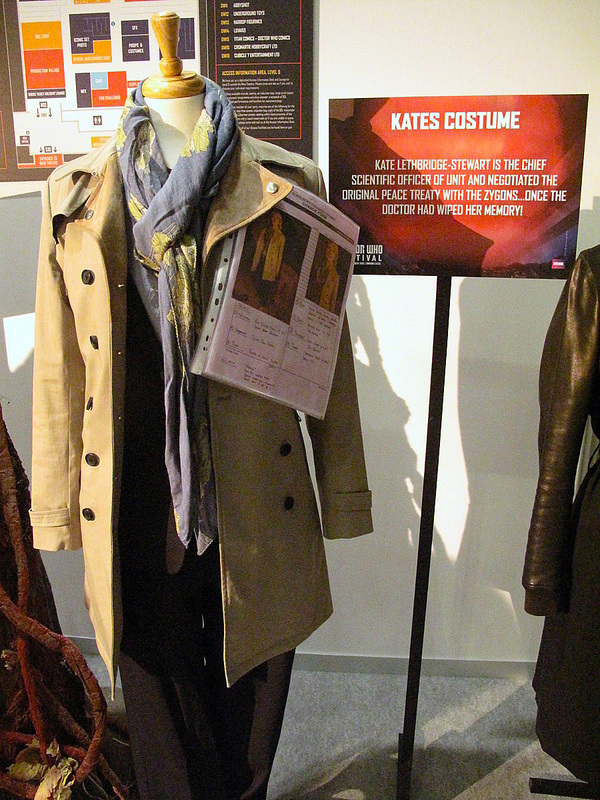 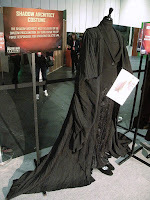 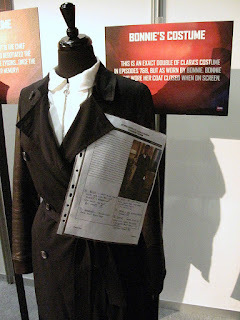 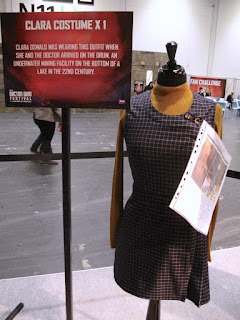 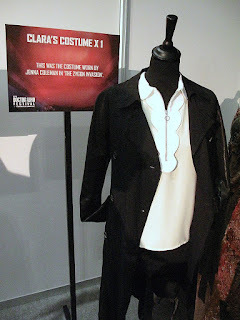 The main costume on display to represent this two-parter was Clara’s outfit. 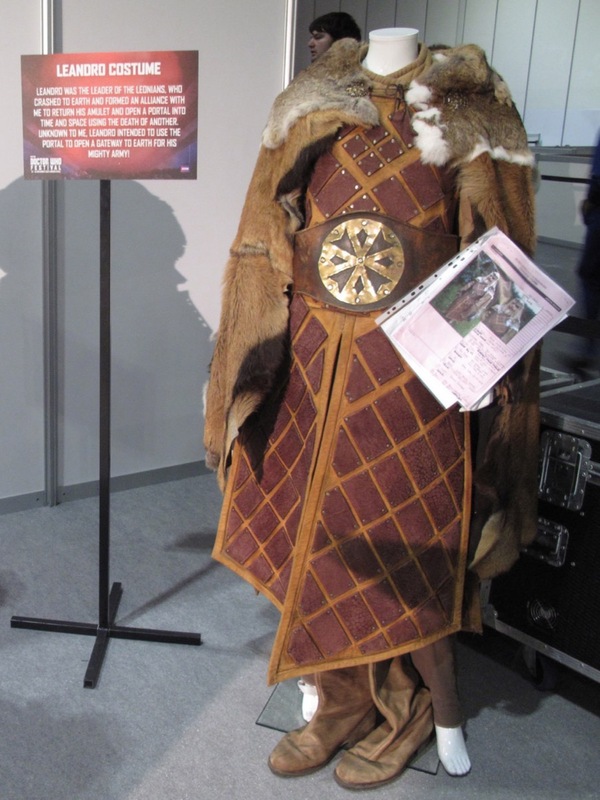 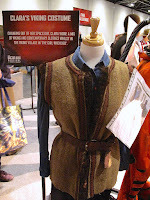 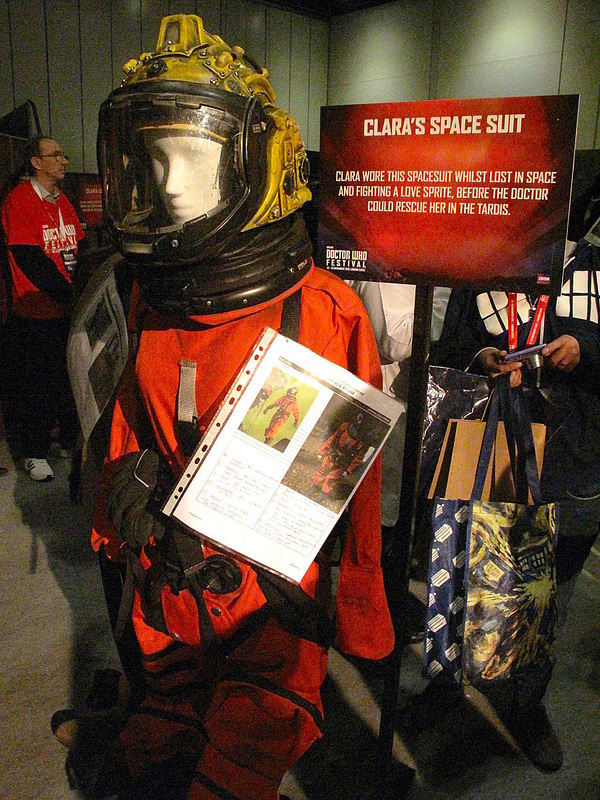 From this duo-episode, there was Leandro’s costume as well as Clara’s Viking outfit and SB6 space suit. 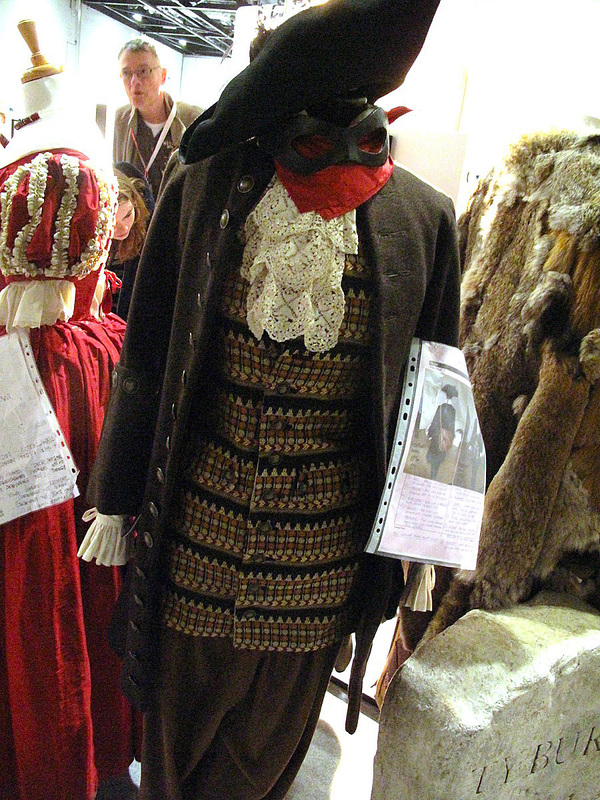 Massie Williams’ highwayman’s outfit, plus her red dress were also on show. 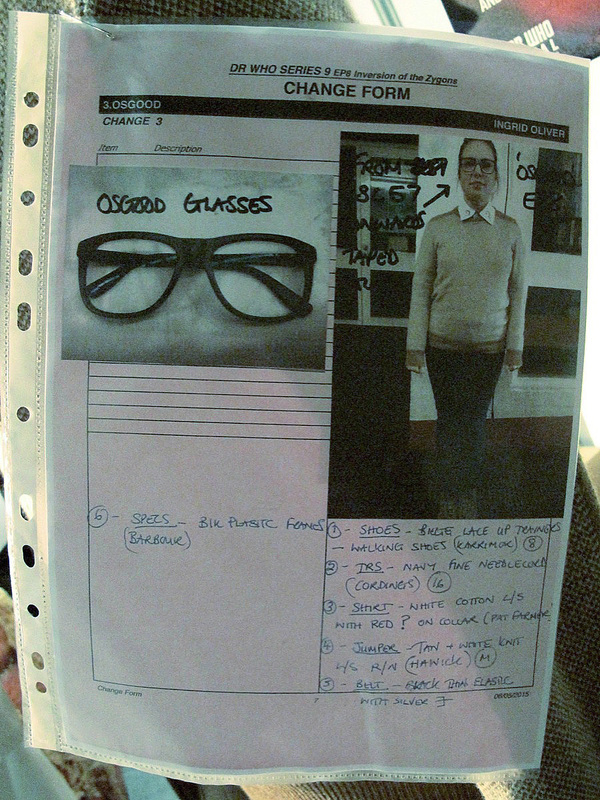 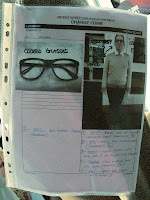 All three versions of Osgood were on show, including the original from Day Of The Doctor. 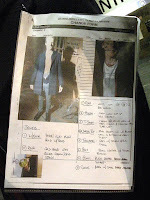 Each costume had a change form attached, giving some clues as to wear much of the costumes had been sourced from. 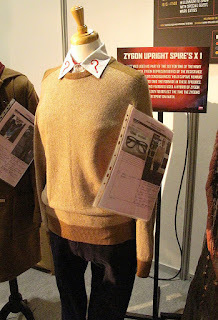 Her trademark glasses, for example, are Barbour; and her brown jumper was from Hawick; and her duffle coat was made by The Original Montgomery, the oldest maker of them in the UK. 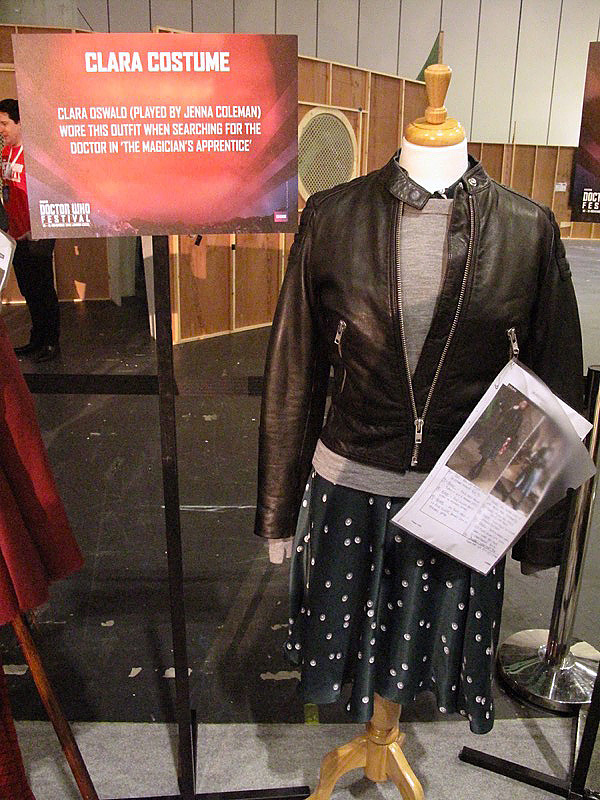 Both versions of the Clara and Zygon-Clara, Bonnie were on display. The information cards gave an interesting insight into which Clara was which: the Zygon-Clara always wore her coat buttoned up! Kate Leghbridge-Stewert’s outfit completed the main cast from the Zygon two-parter, with an example of the latest UNIT solider’s uniform and a rather disgusting Zygon pod. 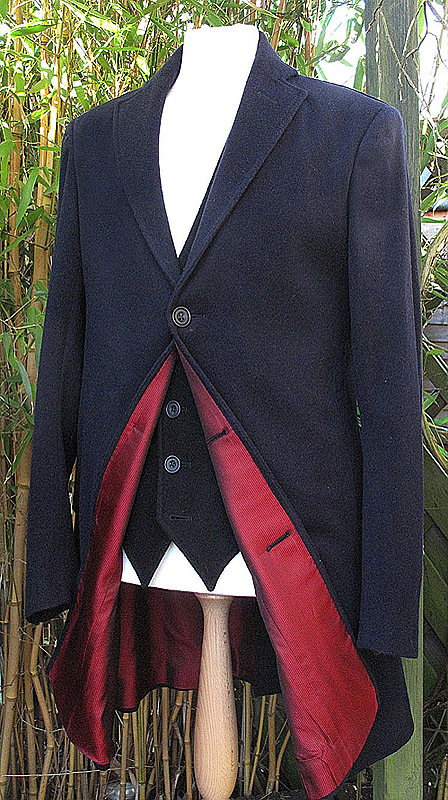 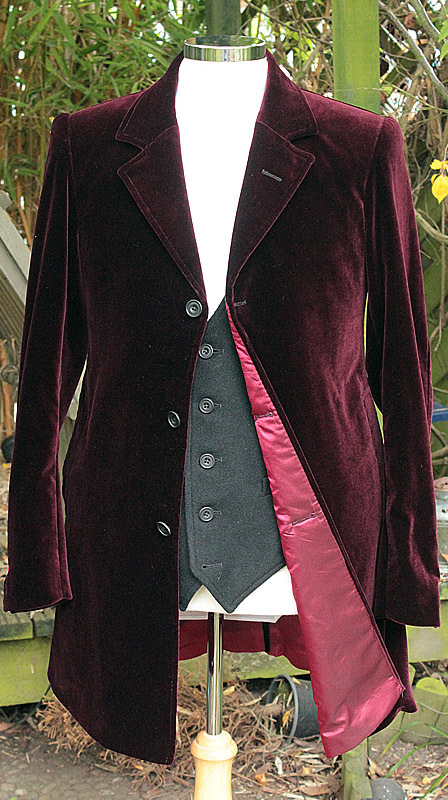 The final iconic costume on show was cause of much buzz - Peter Capaldi’s new burgundy velvet coat, which as yet has not been seen on screen. It’s thought to first appear in Face the Raven, as well as the final two-part story Heaven Sent and Hell Bent, but we shall have to wait and see. 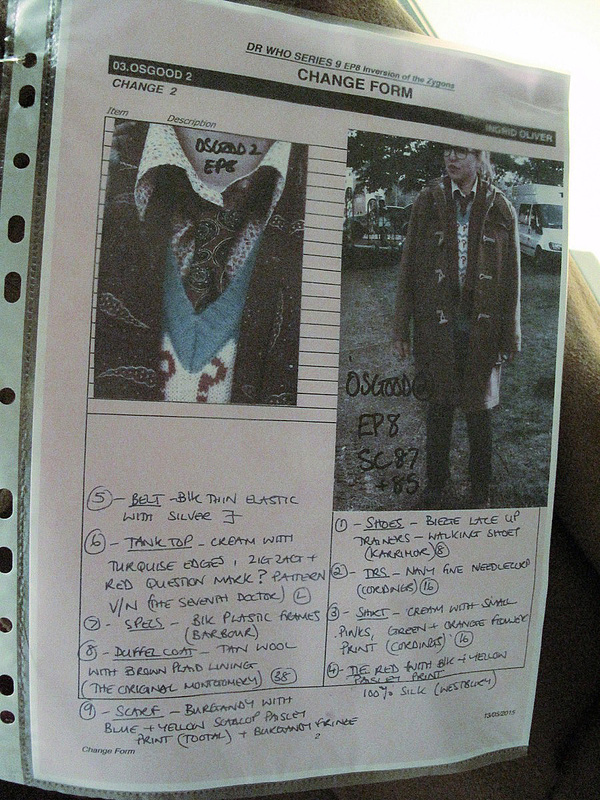 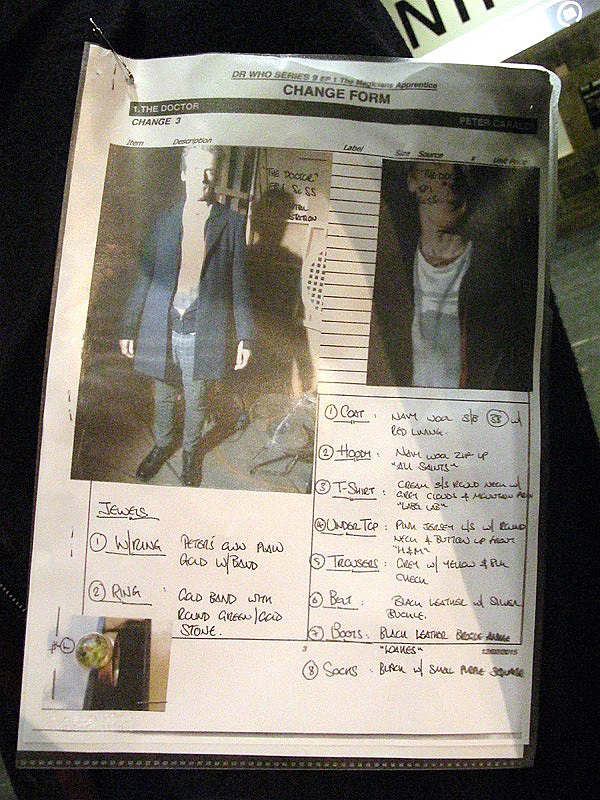 This also had a change form, revealing a few tantalising details about the costume. 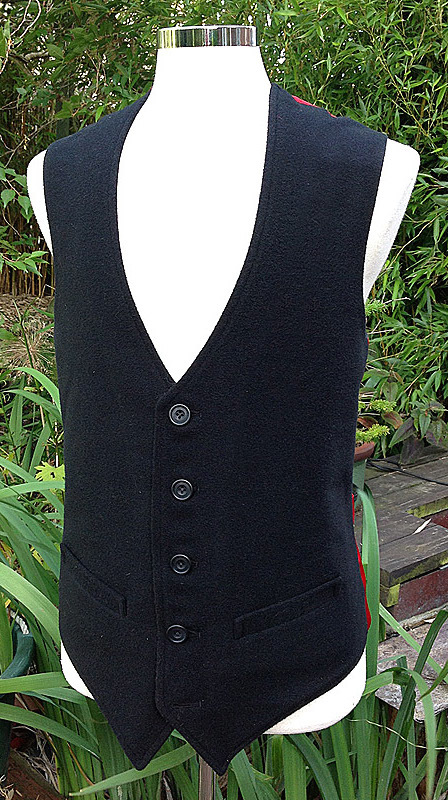 It confirms the shirt worn is again from Budds and the new charcoal black waistcoat is from T. M. Lewin. 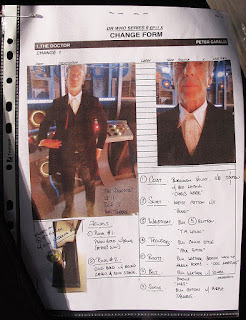 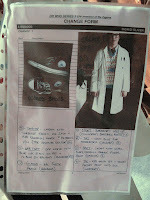 The black chino style trousers are again from Paul Smith, and a hidden detail we have never seen - The Doctor’s socks! 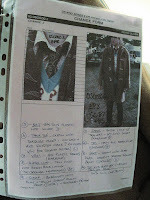 - are black cotton with purple squares! I talked to Ray Holman and he told me that plain black socks are authentic; he seemed to have no idea why I thought that the socks were black with purple squares. 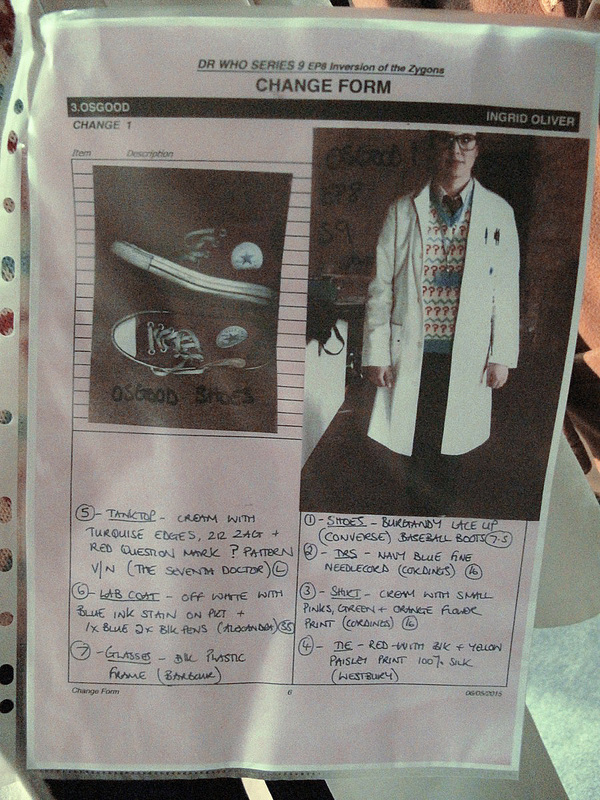 Interesting that the change forms say Capaldi wears the brogue Loake's with the Magician's Apprentice/Witch's Familiar outfit, and that he wears Dr Marten brogues with the Face the Raven/Heaven Sent/Hell Bent outfit...Does that mean Capaldi has worn both the Loake's and the Dr Marten Affleck's, then?